It’s a great time to be a mature American. Senior generations control more than seventy per cent of the wealth in the United States. There have never been more professionals who specialize in the issues of the mature citizen of the United States than there are today. From Seniors Real Estate Specialists® (SRES) to geriatric medical specialists, to elder law attorneys, to financial and estate planners, to tax specialists, there are many resources that seniors can turn to for help with their unique issues. The most important thing senior citizens can do is establish a plan for their property and assets. It’s the best thing you can do for yourself and the people you love. As more and more of us live longer and more active lives, it’s an exciting time, but many of us have not planned for the economic issues these extra years create. To that end, seniors should find reputable professionals who specialize in financial and real estate issues at this very special point in life. The most important thing to remember is: it’s your money, your property. You want to enjoy the fruits of a lifetime of work and you want to have the final say about how your wealth will be distributed to your heirs. With effective planning, assisted by professionals who specialize in your issues, you – not the courts, a squabbling family or the IRS – will determine the highest and best use of your property and assets now and in the future. After a visual analysis of a property, it’s relatively easy for a REALTOR® to compare it to recent sales in your area to determine the market value of a property. It’s important to remember, however, that the market does not understand the memories the house contains for you or the emotional attachment you may feel to your home. The other important thing to remember about value is that it’s not real until you decide to use it. Maybe you’d like to re-finance and draw some equity out of your home. 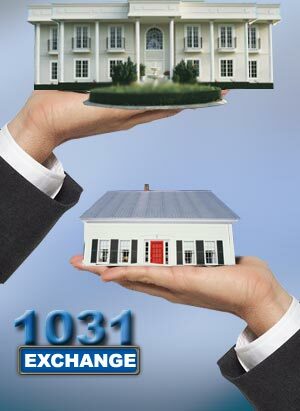 Maybe you’d like to explore a reverse mortgage in order to provide additional income. If you choose this option, be sure to get all the information you can, especially with regard to your spouse or partner being on the reverse mortgage. Or, maybe you’ll join the market. If you do, your home is then worth only what a buyer is willing to offer and you are ready to accept – when your home is for sale. Since the downturn in the real estate market, buyer demand has slackened and house hunting has become seasonal again. In the peak of the housing boom any time of the year was the right time to sell. Now it may be useful to observe the traditional real estate seasons of New Years Day to Memorial Day and Labor Day to Thanksgiving Day. Interest rates are at historic lows but there is a lot of inventory for buyers to choose from. Put those factors together and it’s more important than ever that your home be well priced and attractively presented. Here’s where the advice of a REALTOR® is particularly important, especially a REALTOR® with a Seniors Real Estate Specialist designation (SRES) . A good REALTOR® knows what buyers respond to and can help you “stage” your property for sale. You should keep in mind that the sales process is about making money, not saving money. Cut-rate solutions can often lead to discount results. What are the financial considerations of selling my home? Would you like to rent or will you purchase another property after you sell your current home? Are you thinking of purchasing a vacation home? Do you want something smaller? Bigger? Will your next home be in an “adult” community? Do you need some form of assisted living for yourself or someone in your family? Would you like to stay near your former home or is there another part of the country you’d like to explore? Your options depend on your needs and desires. You’ll be able to achieve those desires with proper planning. This is probably the most crucial part of the process – having the proceeds of your estate, whether real estate or liquid assets, performing as you wish, including distribution after your death or disability. Elder law attorneys are experts in estate planning, powers of attorney and other mechanisms that will insure your estate conforms to your wishes. This is a fast growing segment of the legal community and certainly an essential part of your planning. Knowledge is power in real estate, like everything else. If you pick your support professionals carefully, you’ll be well on your way to enjoying the fruits of your labor.